On our various trips to Walt Disney World we always make sure we book a reservation to eat at O’Hana in the Polynesian Village Resort. It is just one of our all time favorite places to eat, with fantastic entertainment, wonderful food and we have (knock on wood) always had excellent service. 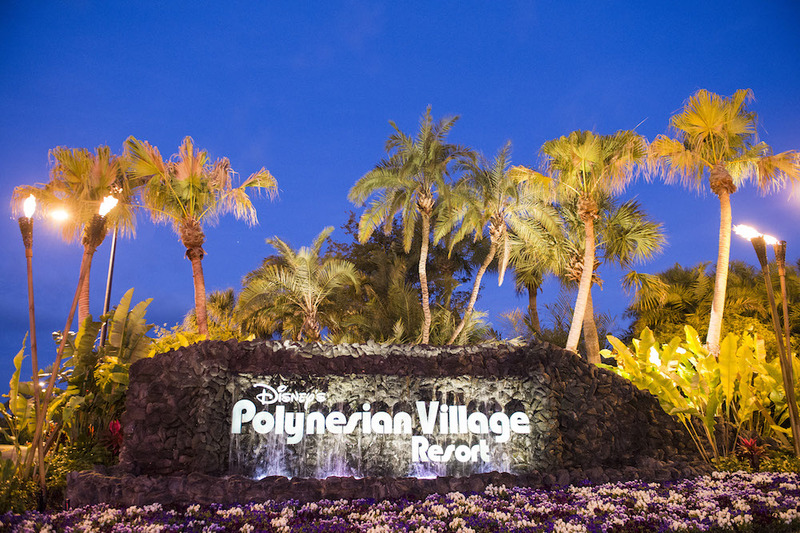 On a sad side note we have yet to actually stay at the Polynesian and end up having to settle for staying at another resort and making the trek over just for dinner. But it’s absolutely worth it to us. Being the obsessed pressed coin collector that I am I have acquired the 3 machines located at this resort many years ago. Sadly these designs have rarely changed. However I’m sure yo can guess that since I’m writing and entry about this place that must not be the case any longer and you would be absolutely correct. 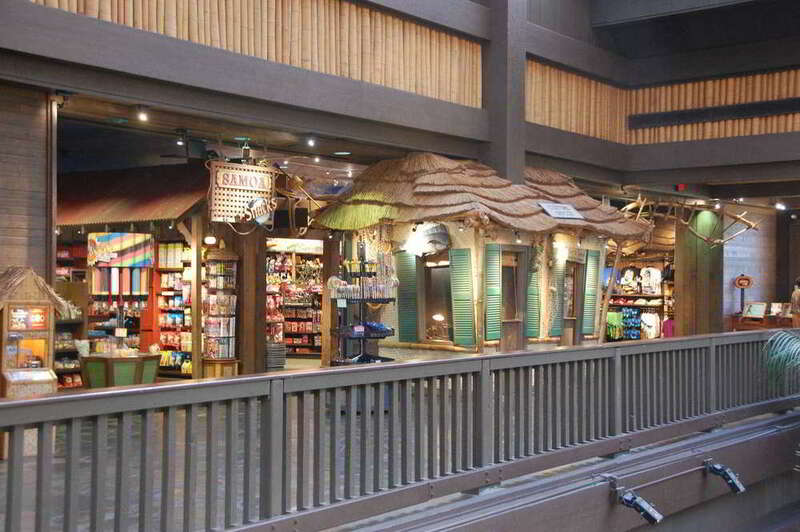 On the second floor (same floor you are already on if you take the monorail over) which also is where O’Hana is located there is a nice little place called Samoa Snacks. As the name implies this is a convenience store of sorts that has drinks, candy, snacks, and since it’s Disney some themed merchandise. Just outside this little store is one of the machines that presses quarters. For years this machine has only had 1 design to be pressed on a quarter but no longer. This machine has been upgraded to now have 3 separate designs still all pressed on quarters. The machine does require $1.25 in quarters for each design. These images are very similar to existing ones, but have been enhanced in detail and two of them now have a dotted border. 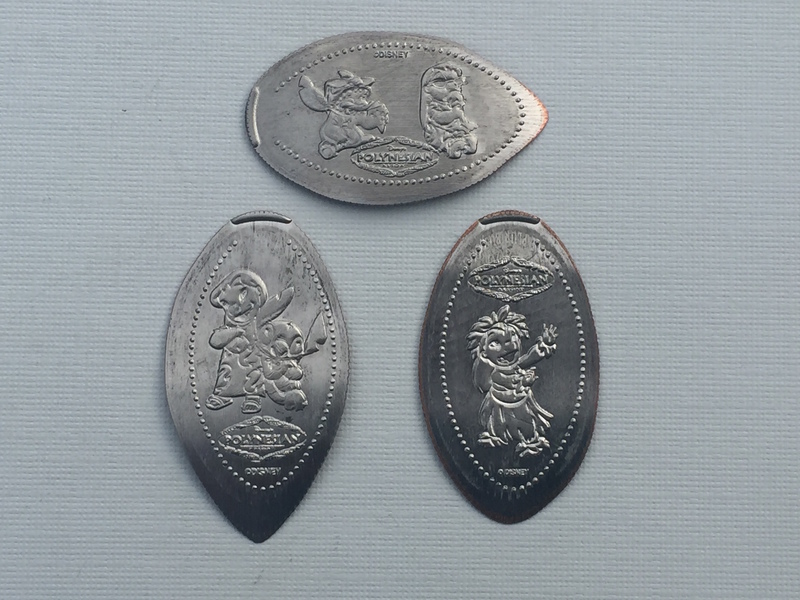 All of these are Lilo & Stitch themed and also have the Polynesian Village Resort Logo included. Of course knowing there were new coins available I had to pick these up as soon as possible, but if the previous machines are any indication here these are probably going to stick around for a while. But I never say never so make sure to pick these up just on your next trip over to the Poly, and since you’re there check out O’Hana you won’t be disappointed.